In ‘Kinshasa Makambo’, director Dieudo Hamadi shows the makings of a revolution to oust Joseph Kabila in the city of Kinshasa. What does it take to depose an autocratic leader? ‘Kinshasa Makambo’ is a gripping story of how that can be done. From the experiences of three young men in the Democratic Republic of Congo’s (DRC) capital, Kinshasa, it shows how a revolution to topple the regime of Joseph Kabila can be ‘manufactured’. Kabila, at the time of screening, has been in power for over 18 years – postponing elections on more than three occasions to ensure he remains in power. This film is about the resulting unrest and those at the forefront of that unrest. At the time of screening Kabila has been in power for over 18 years. Kinshasa is the setting of the revolt against Kabila. The three young leaders, once dispersed by police brutality, converge in the city again to launch another revolt. Christian, according to the film a leader in the Defensive Forces Youth seems to be the only one who had remained in Kinshasa. Ben returned from exile in the United States and Congo-Brazzaville, and Jean-Marie was released from detention. What brings them all together is their dream of a free and democratic Congo. Back to the setting, in all the revolts and armed conflicts that have bedevilled the DRC since the 1960s, Kinshasa has always been the ‘eye of the storm’. Insurgents were mostly confined in the jungles and remote areas of the country. Turning the tide, the three young men bring the storm to Kinshasa and ignite a revolution in its sewage and refuse-strewn streets. Perhaps, the tenacity and brutality with which the Kabila regime clamped down the protests reflected the concentration of state power in the city. More importantly, taking the revolt to the streets of Kinshasa reflects the change in DRC’s politics and the genuineness of the youth’s claims for democracy. It also reflects their disgruntlement with politicians, in whose hands the youth – as foot soldiers – entrusted their hopes of fulfilling their democratic aspirations. With the youth losing trust in their older leaders, and describing them as ‘lacking legitimacy’, there is a sense of generational contradictions on how to remove Kabila from power. But that hope needs to be emboldened by something perhaps supernatural. A young man, charging towards the police half-naked, provokes memories of charms used by rebel groups, some of whom fought naked. The unintended message is that the bravery of the youthful protestor is inspired by different things – religion and voodoo being some of them. Second, there is an apparent generational conflict within the three men and their families. Exemplifying the zeal of youthfulness, Christian, Ben and Jean-Marie are driven by a sense of responsibility and destiny that allows them to defy all the voices concerned for their safety. All their parents seem to persuade them against joining politics and being overly active, yet with reckless abandon, they all soldier on. The struggle to liberate Congo goes as far back as Lumumba and his compatriot Etienne Tshikesedi. While some like Christian are inspired by Lumumba and Tshikesedi, others like Ben and Jean-Marie are frustrated by Tshikesedi’s speeches that pacify the youth and water down the revolution. 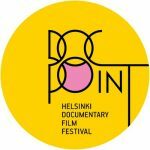 How to learn from the past and devise strategies to topple a contemporary autocratic leader is perhaps the most important theme of this film. How to learn from the past and devise strategies to topple a contemporary autocratic leader is perhaps the most important theme of this film. This is highlighted in a discreet manner. Christian’s mother tells him, he cannot succeed where Lumumba failed. Christian tells Jean-Marie that he cannot compare himself with Tshikesedi and cautions him saying: “You beginners, whining and complaining, won’t make him [Tshikesedi] question his strategy.” The failures of merging the new and the old are reflected in the failure of the second demonstration against Kabila. Kinshasa Makamba is also a story of betrayal. Supporters of Tshikesedi chant: “Do not betray us!” Ben is betrayed by allied organisations and supporters in the United States, who, despite the imminent danger to his life in the DRC, tell him to go back. His friends in the DRC later rejected his strategies – forcing him back into exile. Jean-Marie implies that the rest of his friends ran away, leaving him to pay for their sins. In times of protracted struggles punctuated by failures and incoherence of strategy, there is a tendency for faith and loyalty to give way to doubt, suspicion and betrayal. Revolutions are difficult to manufacture if interests and strategies do not converge. As politicians negotiate, the youthful revolution that brought the three young men together unravels. Tshikesedi dies, Jean-Marie is kidnapped by the secret police, Ben goes back into exile and Christian remains hopeful – hoping against all odds that revolts in the streets of Kinshasa will bring down Kabila. His hope must have paid off because on January 24, 2019, Felix Tshikesedi, Etienne Tshikesedi’s son was sworn in as president of the Democratic Republic of Congo. A revolution can be manufactured, after all! 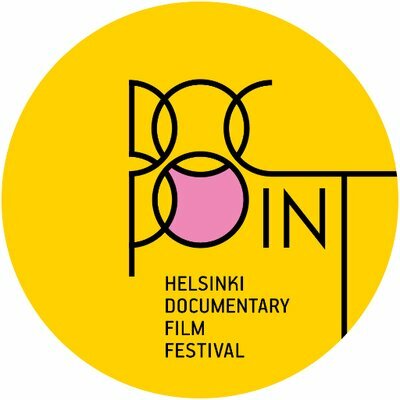 DocPoint Helsinki Documentary Film Festival takes place on Jan 28th – Feb 2nd 2019. Obert Hodzi, PhD, is a postdoctoral researcher at the University of Helsinki.